Some two long years ago, just before the inauguration of Donald Trump as our 45th president, we were privileged to have Professor Marjorie Cohn make her observations and predictions of a Trump presidency. As it turns out, she was not only accurate in her dire prognosis, but may have fallen short of the actual damage to our political system, our international standing, the environment and our moral and ethical standards and norms. 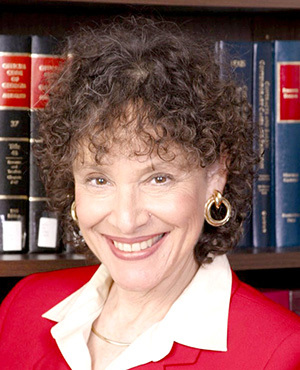 Professor Cohn will be returning to La Mesa Foothills Democratic Club on Wednesday night, April 3, to give us her latest view of the legal jeopardy facing the many facets of the Trump empire: The presidency, the Trump Organization, Trump Foundation, the Inaugural Committee, various family entanglements, and other related aspects of the president’s self-aggrandizing conduct in the White House. Now that Congressional Democrats are committed to exposing the Trump presidency for the criminal enterprise that it has become, they’ll be joining the 17-plus ongoing investigations by various federal districts and state attorneys general and will soon be sharing the spotlight with the yet-to-be-delivered Mueller report. Congress will surely follow up with the many leads suggested by the testimony of Michael Cohen, the president’s long-time personal lawyer and hatchet man. He claims he was directed by Trump to “take care” of legal and ethical entanglements as many as 500 times in the decade he was employed. He famously called Trump a racist, a con man, and a cheat. Professor Cohn will go in depth into the potential legal dangers facing the president and his family in the coming weeks and months. Also under discussion will be potential liabilities for abuse of power, violating the emoluments clause, obstruction of justice, conspiracy to defraud the IRS and the government for a host of financial misdeeds, money laundering, and of course, the Russia investigation and the prospect that the Trump campaign willingly cooperated with a foreign government to alter the outcome of the 2016 election. There have already been multiple indictments and sentences for several dozen people including the Trump campaign chair and his deputy, the President’s personal lawyer, the National Security Advisor, other Trump advisors and associates, and at least a couple dozen Russian nationals — most of the latter working in cyber warfare for Russian intelligence and the Kremlin. The April 3 meeting begins at 6:30 p.m. at La Mesa Community Center, 4975 Memorial Drive, La Mesa. All are welcome to attend, and annual memberships begin at $30. Check out our calendar of events on our website at lamesafoothillsdemocraticclub.com and like us on Facebook. — Tina Rynberg is president and Jeff Benesch is vice president of programming of La Mesa Foothills Democratic Club.